Add a tropical touch to your next luau with our Tiki Pinata! 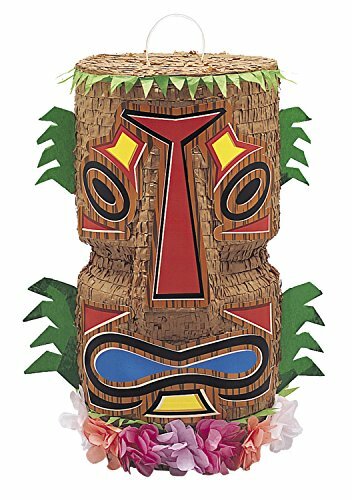 This Tiki Pinata resembles traditional Hawaiian and Polynesian Tiki carvings and makes a colorful addition to any luau party, summer birthday, or tropical theme party. Our Tiki Pinata serves as an eye-catching summer party decoration and can be filled with up to 2 pounds of candy and tropical party favors for the traditional pinata party game!